Wishing everyone a wonderful Thanksgiving with heartfelt thanks for helping and supporting me in my Stampin’ Up! business. Here is a card I made to say Thanks. Continue reading for info on current promotions and the upcoming Online Extravaganza. Here is some information on the above card if you would like to create it yourself. SNOWFLAKE SHOWCASE – Only a few days left to get this unique set of products, it is available until November 30, 2018 – then it will be gone forever! Let it snow! 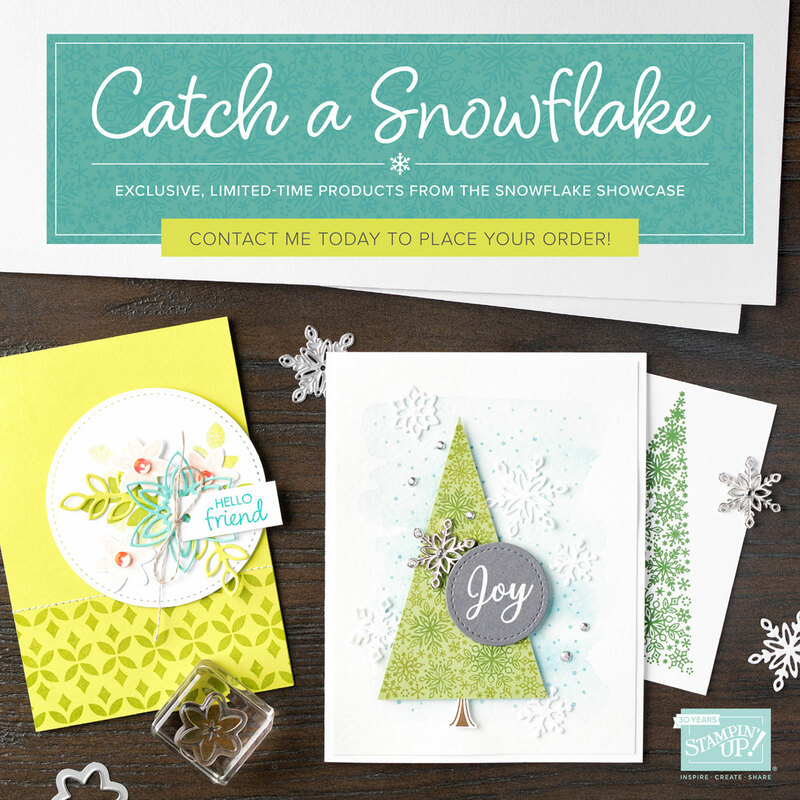 Or at least, create a snowy wonderland using this incredible assortment of products. With two stamp sets, accessories, and dies, the only limit is your creativity! Check it out and place an order here! Stampin’ Up! is shaking things up with three 48-hour sales on Annual Catalog products! Almost all products in the Annual Catalog will be 10% off. Each sale begins and ends at midnight. Check it out in my store: Shop the Sale! Discount pricing is only available during each 48-hour sales period. They will not carry over to the next sale.